Those who alienate an estate or movable property while being fully aware that it is not their own or that they have no right to dispose of it are also be liable to the same punishment.In additon, ‘he who alienates any of the above-mentioned after having previously disposed thereof or having concluded any agreement thereof, whenever such an act operates to the injury of others’ would be guilt of fraud’. Basically this means fraud in the UAE has two features. 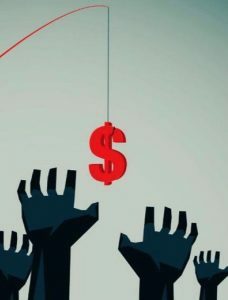 On one hand, it is an ‘assault against monies’ as the accused has to deceive the injured party in order to make him surrender the money.On the other hand, a change in the facts as it forces the injured party to accept an act which damages them or a third party. 1 The act of fraud which is the use of fraudulent means as prescribed with limitation under Article 399 of Federal Law No. 3/1987,e.g. using a fraudulent practice, assuming a false name or quality or disposing of an estate or movable property which is not the perpatrator’s own or they have no right to dispose of. 2 The result from this particul act, which is that the injured party has surrendered their money to the criminal. 3 A causation between the act and result, e.g. the injured party has been cheated as a result of the criminal’s fraud and they have then surrendered their money. 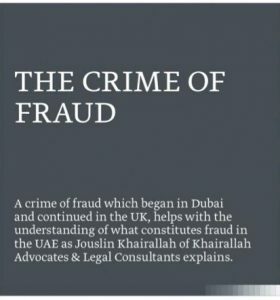 In addition in the UAE, within the crime of fraud there is a moral element which represents the perpatrator’s criminal intention. However, the law does not set out the concept of an unintentional crime of fraud which might apply, if for example, the accused has made a serious mistake which has resulted in a fraud. Although, if an intention is not proven, in the UAE the crime of fraud will not have judicial merit. This means a criminal intention must also be present and this intention has to include the following two components – the general criminal intention and special criminal intention. The general criminal intention is the accused’s awareness of a criminal incident and their alteration of the facts using a fraudulent practice in order to take the injured party’s money. The criminal must also have an intention to make the injured party surrender their money by lying and cheating. As well as the general criminal intention, there is also a requirement for a second component. There must be a special criminal intention. This is the accused’s intention to take possession of the money and their desire to seize a third party’s money. There is one particular case which is useful when looking at this area. A Dubai Court of Cassation ruling (DCC No. 405/2011 of 17 October 2011) established that the crime of fraud set out in Article 399 of Federal Law No. 3/1987 is relevant if the person who wishes to seize the injured party’s money has assumed a false name or quality in order to achieve their purpose. If they have done this, fraud can be claimed even if no other fraudulent means is used to assist in completing their crime. In a further Dubai Court of Cassation case (DCC No. 51/2011 of 28 February 2011) it was also decided that the crime of fraud set out in Article 399 of Federal Law No. 3/1987 coud be available when a criminal has assumed a false name or quality even if they have not supported this with any external factor on the basis that they would not have obtained the money from the injured party unless they had assumed that false name or quality. Assuming a false quality is a type of fraud, where the crime of fraud is available even if it was not supported with other fraudulent means. In addition, the criminal does not have to use cheating and deceiving in such cases for the crime of fraud to have taken place. If the perpatrator has assumed a false name or quality in order to take the injured party’s money, all elements of fraud crime will be available. In addition, under Article 399 of Federal Law No. 3/1987 the crime of fraud as set out in that provision involves seizing movable property owned by a third party. The elements of this crime are available if the accused has cheated the injured party in order to obtain their money, using fraudulent practices or by assuming a false name or quality. In this case fraudulent practices include not only false state-ments and allegations (regardless who gives such statements and insists on their validity) but this falseness can also be accompanied by material acts or external factors which make the injured party believe the validity of these statements and as a result deliver their money because of this belief. This can be either with the assistance of a third party who aﬃrms the accused’s allegations or because written papers or documents have been used which are ascribed to a third party. The Dubai Court of Cassation Case, DCC No. 19/1995 of 29 October 1995 provides more details of this. However, there are some key diﬀerences between the crime of fraud and the crime of theft. The injured party in the case of fraud actually wishes to transfer possession of the property to the criminal. If the perpatrator is merely preparing certain circumstances which enable the criminal to seize the money without the injured party’s approval and consent the crime of fraud is not available. In such cases the criminal is charged instead with theft. The crime of fraud is also diﬀerent from the crime of a breach of trust. This can include the embezzlement or squandering of movable funds which have been delivered to the criminal under a trust contract; or damage to an owner of such funds or taking such funds by force. However, the crime of fraud and the crime of breach of trust both have similarities and diﬀerences. For example, the crime of a breach of trust is similar to fraud as there is normally a handover. 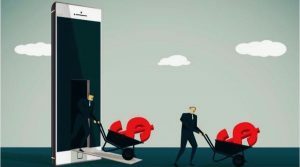 In addition, in both cases, movable funds are usually delivered after the approval of the owner of the actual property. However, delivery in a fraud crime normally happens because the owner has been cheated by a criminal so that they can seize the funds and the crime is possible once the funds have been delivered. On the other hand, in the case of a breach of trust crime delivery involves no cheating or fiction and the crime is possible after the funds have been delivered by the injured party to the criminal and they dispose of the funds. A delivery of funds in the crime of fraud also enables the perpetrator to have full possession of the funds and the crime is not available if the delivery aims to get partial or incidental possession. Whereas with a breach of trust, the delivery can involve transfer and partial possession. However, the crime of a breach of trust is still unavailable if the delivery transfers full possession. Based upon the provisions of the UAE Penal Code and precedents estab-lished by Dubai Court of Cassation, our firm acted as the attorney for some claimants who were British nationals, residing in Dubai. They had opened a criminal complaint against a Pakistani national, who also had a place of residence in the UAE, based on the charges of fraud and forgery, and usage of forged documents. This charge was in line with Articles 399, 216 and 222 of Federal Law No. 3/1987 and Articles 6, 9 and 42 of Federal Decree – Law No. 5/2012 On Combating Cybercrimes. In this case, the claimant claimed the respondent had falsely stated they were a broker certified by a governmental financial entity in UK and that as a result of having this status they were able to buy property at auction at lower prices than would usually be the case. As a result, they could then resell these properties in return for commission to anyone who provided an investment. This individual had forged letters which it was claimed were sent by law firms who it was stated were undertaking in their capacity as attorneys for persons who wished to purchase property and had deposited 25% of the purchase price although they did not have the right to claim this amount. The accused had also provided the victims with a letter of guarantee which it was stated was issued by a bank which undertook to release an amount equivalent to the deal amount on a specific date. The claimant believed these documents were real and deliv-ered money so that they could make the deals with the respond-ent in Dubai. The idea was that they would purchase a number of properties and there would then be amounts transferred from the claimant’s account in Dubai to the respondent’s account in the UK. These amounts were transferred to the respondent. However, the respondent refused to either refund the trans-ferred amounts to the claimant or provide them with the profits which should have been generated from these transactions. In this case it was found the respondent had assumed ‘a false quality ‘ using fraudulent practice since neither the real estate or the letter which it had been claimed had been issued by law firms undertaking to purchase and pay the sales price by installments actually existed. As a result of this the investigations on this complaint have been conducted by the competent authorities in the UAE. Jouslin Khairallah is the founder of this boutique law firm. Her specialist areas include litigation, international and domestic arbitration, criminal law, maritime law, labour law and corporate affairs.